Stemi 508 combines apochromatic corrected zoom optics with efficient stray light suppression to achieve a crisp three dimensional image, distortion free and without color fringes, even at low magnifications. 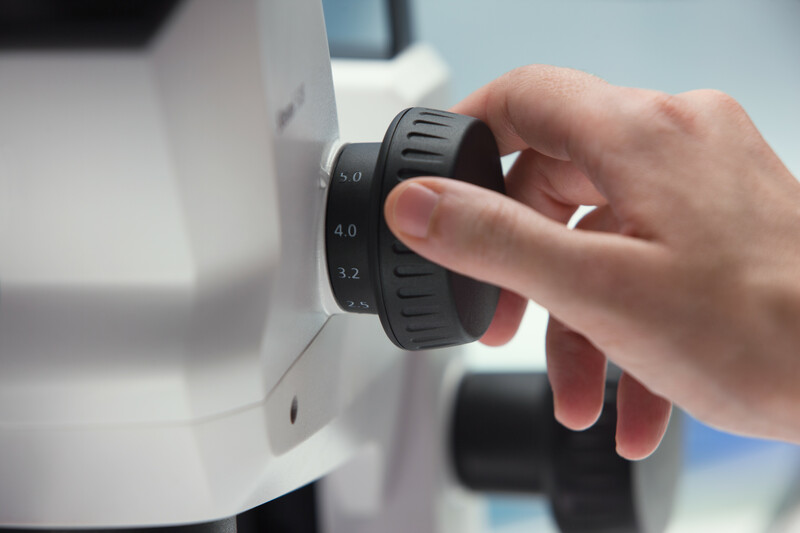 Take full advantage of the large 8:1 zoom range to observe even minute structures in high contrast. Select the right Apo front optics and eyepieces for the job at hand. 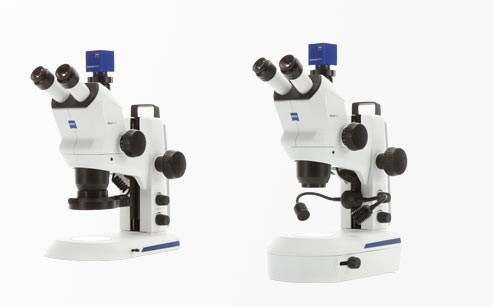 Reach any magnification between 2x and 250x, double your resolution or reap the benefits of large working distances up to 286 mm - it’s your choice! Stemi 508 achieves pinpoint zoom adjustments through a sophisticated mechanical concept including cam disc corrected zoom curves and close tolerances in mechanical parts. Ten precise, detachable click stops let you zoom effortlessly in either continuously variable mode or reproducible mode.Zoom to any position, the object always remains sharply focussed! Stemi 508 builds on the renowned quality of Stemi 2000, using extremely durable and reliable mechanics designed for heavy workloads. The Stemi 508 portfolio ranges from the compact stand K platform with integrated LED illuminations to the large stand N, and also to most flexible and stable boom stands. 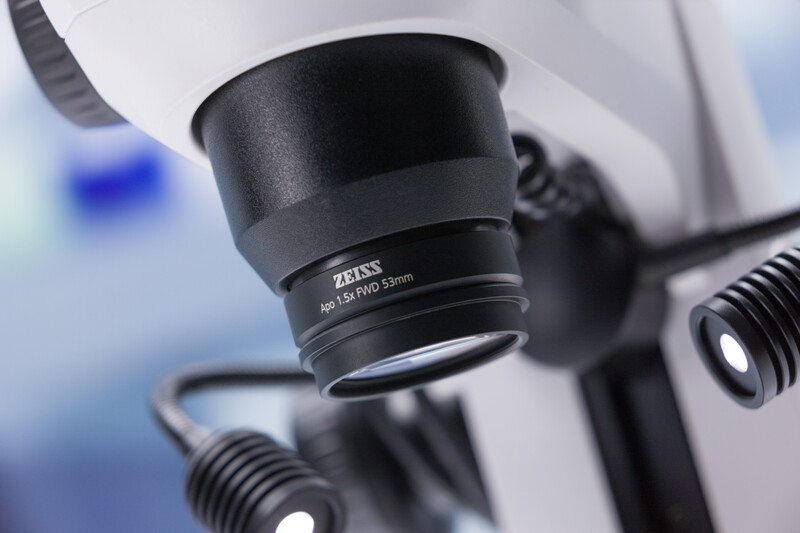 The Stemi 508 doc always includes a 0.5x c-mount adapter for easy access to ZEISS Axiocam cameras – but it can also be changed to adapt any SLR camera or camcorder.